A new club has quietly arisen on campus, and it strives to build a welcoming environment for anyone who wishes to join, even if they are not Filipino. 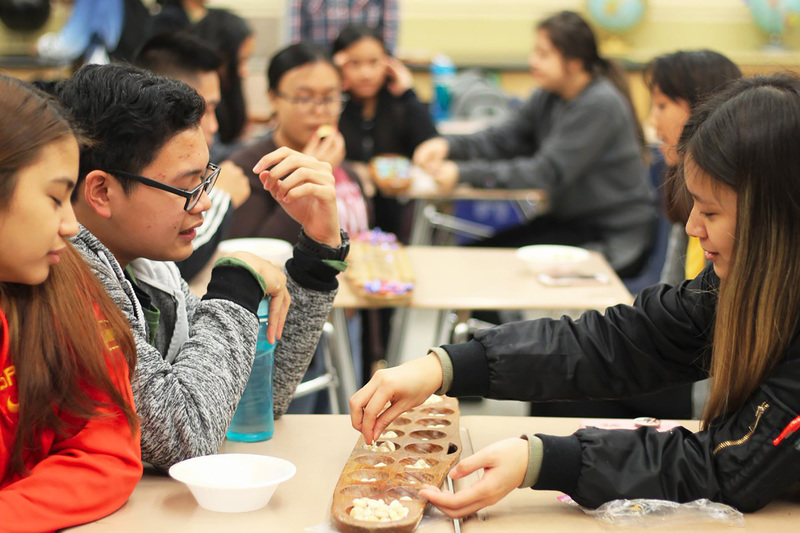 Members of the Filipino Club, discuss Filipino culture, traditions, language, eat traditional food, and play Filipino games. Although some people might believe that the club is strictly for Filipinos, it is open to anyone who has yet to discover the “uniqueness [of Filipino culture] and how it’s outside influences give the culture so many different layers,” described club president Amare Sabillo, (class of 2020). For those who are Filipino or are transfer students from the Philippines, the club is intended to help them “adjust to American school life, [by acting as a] welcoming committee [that will be open to] anyone who is new to Kennedy school life…[and is] in need of company.” The club also strives to teach JFK Filipino students about their culture and all parts of it they might be missing out on. Just like a caring family, members get to experience a calming environment. This environment allows members to meet people of the same culture and learn about the rich history of the Philippines. As Caridad Cruz, (℅ 2019,) said in an interview, the club also encourages members to laugh with new friends, eat Filipino food, and play the traditional Filipino game, Sungka, which is the Filipino version of Mancala. On top of this, vice president of the club, Rom David Arca, (℅ 2020) , said that unlike many other cultural clubs on campus, the Filipino Club acts outside the box and plans to hold “a poem recital and a musical performance” before the school year is done. These events will encourage members to engage in hands-on activities that will broaden their views on the mixed Eastern and Western culture of the Philippines by delving into the heart of its intriguing art, literature, language and music. The club holds meetings on Mondays during lunch in B-21. So feel free to stop by with interested friends, acquaintances, or fellow classmates if you want to experience a new community and a new culture!